I'll admit it. I'm a bit of a Elon Musk fanboy. This week, we witnessed the unveil of the Tesla Model 3. The latest all electric car by Musk's company for the mass market. And the support was overwhelmingly positive. Hundreds of people stood in line for hours to pay $1,000 for an opportunity to buy a car they've NEVER seen! On top of that, the delivery date won't be for another year and more. This blows my mind. The man is doing very hard things. From building an electric car company at Tesla to sending rockets into space at SpaceX, he's literally advancing the human civilization. So what can acupuncturists learn from Elon Musk? The niche for Tesla is a small, very passionate set of electric car drivers. By focusing on a niche, Tesla was able to easily get word of mouth and spend little to none on traditional marketing and advertising. As an acupuncturist, what is your niche? While every car manufacturer has their own version of an electric car, Tesla has differentiated itself in both mission and product. accelerate the world’s transition to sustainable energy. How many car companies' missions can you recall? I'm hard pressed to come up with one! On top of an amazing mission, Tesla is delivering a spectacular car. Differentiating itself by building sleek and beautiful cars, all electric, and with cool technology like auto pilot. In a market, where you, as an acupuncturist, are competing against not only tens of other acupuncturists in your area, but also, other healthcare modalities, how are you differentiating your product and services? Relentlessly focusing on the customer experience is a hallmark of great companies. Think Apple. With Tesla, you don't buy a car from a dealer. Why? Because, they want and need to control the customer experience. Once, you inject a middleman like the dealer, you lose control of the customer experience. And we all know what it's like to deal with car dealers. It's one of the most dreaded human experiences, next to seeing the dentist. How can you improve your patient's experience with you and your practice? From the second they walk in the door to the minute they leave the office, what are you doing to make them want to tell their friends and family about you? 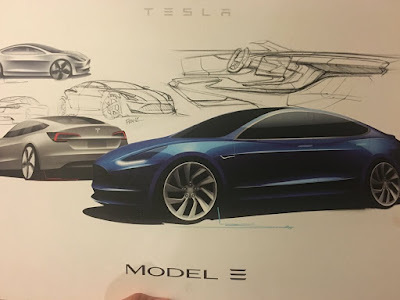 So, to conclude, as an acupuncturist and business owner, the lessons we can learn from great companies like Tesla can be applied to our own businesses. And just because, others are doing things a certain way, doesn't mean that you have to. Think outside the box. Innovate. Transform yourself. Transform the acupuncture profession. Don't be afraid to do great things for yourself and your customers! So you got a bad Yelp review, NOW what? Can I email my acupuncture patients?